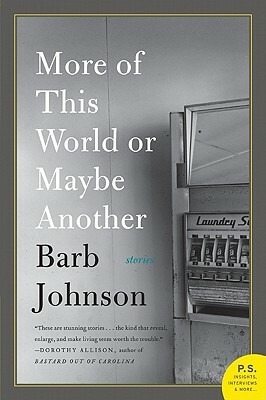 Alternately funny and heartbreaking, this book of inter-connected short-stories depicts a South populated with characters I know and love. This is a book made to be read aloud or dog-earred and underlined to celebrate its beauty. -E.R. Anderson, Charis Circle E.D. Barb Johnson has been a carpenter in New Orleans for more than twenty years. In 2008 she received her MFA from the University of New Orleans. While there, she won a grant from the Astraea Foundation, Glimmer Train's Short Story Award for New Writers, and Washington Square's short story competition. She is the fifth recipient of AROHO's $50,000 Gift of Freedom. This is her first collection.